Shreveport is a commercial and cultural center for northwest Louisiana, northeast Texas, and southern Arkansas. In the early 20th century, the area experienced a major oil boom which then declined through the century. Recently a new riverfront entertainment district with nightlife and casinos and a new convention center have revitalized downtown Shreveport. Bossier City, across the Red River, pronounced “bo-zure” and traditionally more depressed than Shreveport, has also emerged as a gambling center and more recently as a retail and entertainment hub with the large new Louisiana Boardwalk downtown complex. The abundance of casinos is surprising given the area’s strong Bible Belt roots. The area’s economy has had some success luring business and manufacturers, including a new mill for steel products manufacturer Steelscape. The city’s museums and cultural amenities are among the state’s best outside of New Orleans and Baton Rouge. There is plenty of outdoor and water recreation nearby. 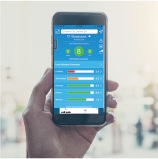 Low living costs are an attraction, but employment prospects are still weak overall and crime is high. Downsides also include persistently hot summers and a degree of isolation, although the area does have commercial jet service. The city sits on Red River bottomland with gently rolling terrain nearby, with a mix of general agriculture, cotton plantations and wooded areas throughout. At 209 feet, Shreveport is the highest city in the state. The climate is a mix of humid subtropical and continental types. Summer months are consistently still, warm, and humid, with temperatures frequently above 95. Winters are mild with cold spells of short duration. Below-freezing temperatures occur about 40 times per year, but temperatures drop below 15 degrees only 1 in 2 years. Rainfall is abundant with greater amounts in late spring and less in late summer. Measurable snowfall occurs 1 in 2 years. The median home price in Cullen is $40,600. Browse Homes in this Range. 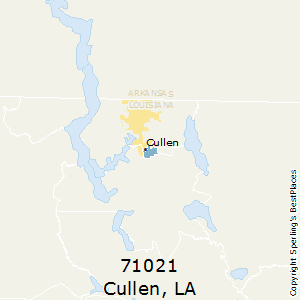 Compare Cullen (zip 71021), Louisiana to any other place in the USA.